Oregon Weedery lies nestled in the heart of Portland’s Nob Hill district, poised to offer an elevated cannabis experience for every guest who walks through its doors. The dispensary team prides itself on its choice marijuana selection displayed in one of Portland’s coziest cannabis stores. Since 2013, Oregon Weedery has served Portland with the finest in Oregon-sourced medical and recreational cannabis. The founders knew cannabis played a significant role in the lives of Portland citizens and wanted to provide a safe, boutique destination for folks to access game-changing marijuana goods. As the Oregon cannabis landscape has shifted, Oregon Weedery improved the quality of its product and kept prices the same as on opening day. Today, the Oregon Weedery team prides itself on providing a select menu and friendly dispensary trip for every guest who walks through its doors. Budtenders at Oregon Weedery make it their mission to make every recreational cannabis guest feel as welcome as possible. The dispensary team is highly educated, friendly and eager to help customers find the marijuana product of their dreams. Oregon Weedery staff encourages customers and patients alike to take as much time as they need to ask questions and browse through the neatly displayed rows of products. The dispensary also hosts vendor days, where patrons enjoy discounts on some of Oregon’s best brands. 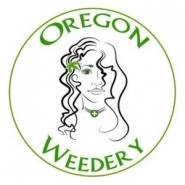 Oregon Weedery focuses on quality over quantity and has improved the excellence of its selection over the years. Portland patrons can browse through dozens of flower cultivars, many edibles, a rotation of concentrate brands, vape cartridges and much more. The Oregon Weedery budtenders roll their joints in-house, crafted from the dispensary’s vertically integrated in-house grow. Flower like Pineapple Kush and Purple Hindu Kush are among the team’s bestsellers, while Buddies vapes fly off the shelves.